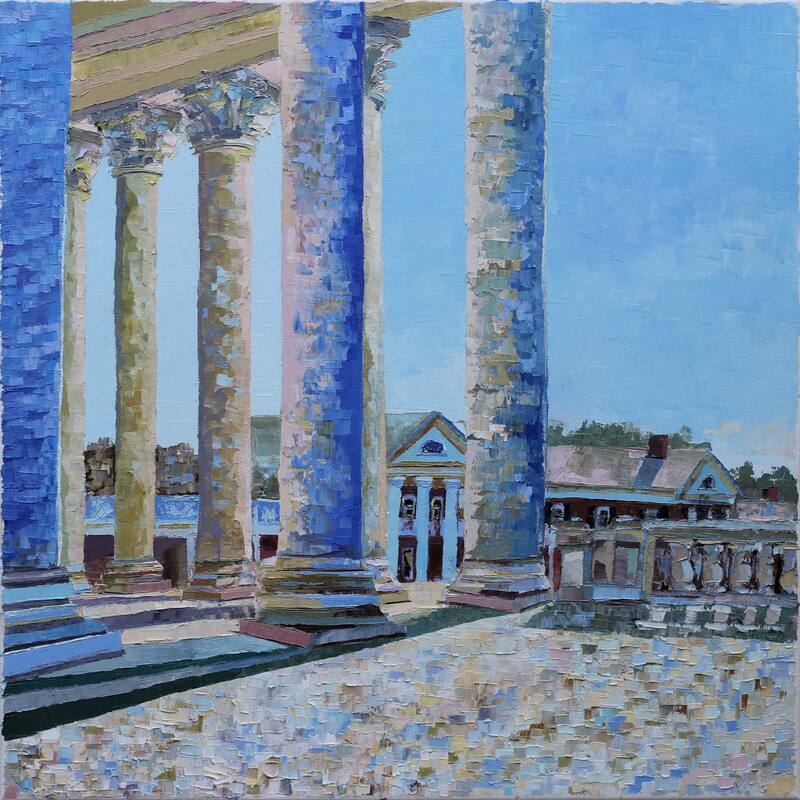 How does recent University of Virginia graduate and local artist Lauchlan Davis show thanks to her alma mater? 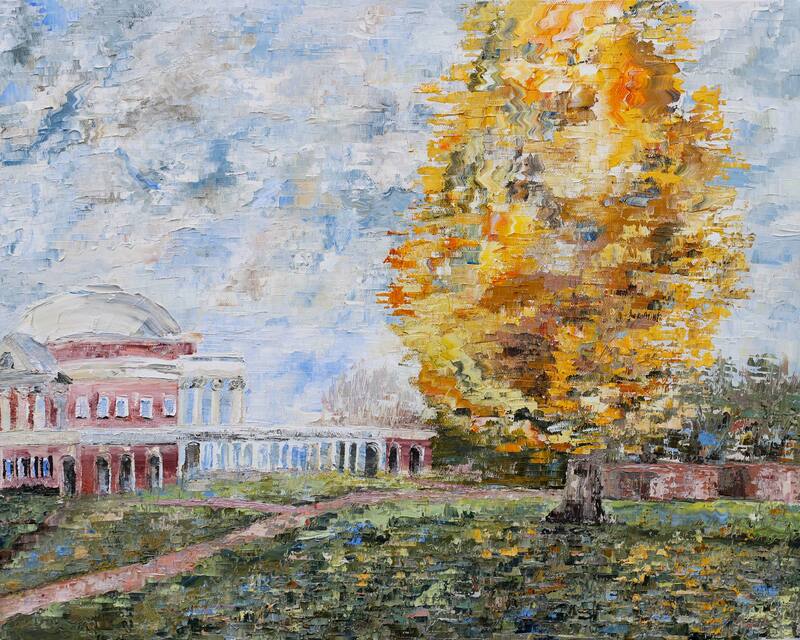 Through her painting – and with the help of a current UVA student. Third-year interdisciplinary arts administration student Rees Wilson is head curator for WriterHouse, a non-profit organization in downtown Charlottesville that promotes literature and art. Wilson’s position, funded by the UVA Arts Council, allows her to apply in-class lessons about art curation directly to her work creating engaging exhibitions for the Charlottesville community. For Davis, this reflection is a deeply artistic one. 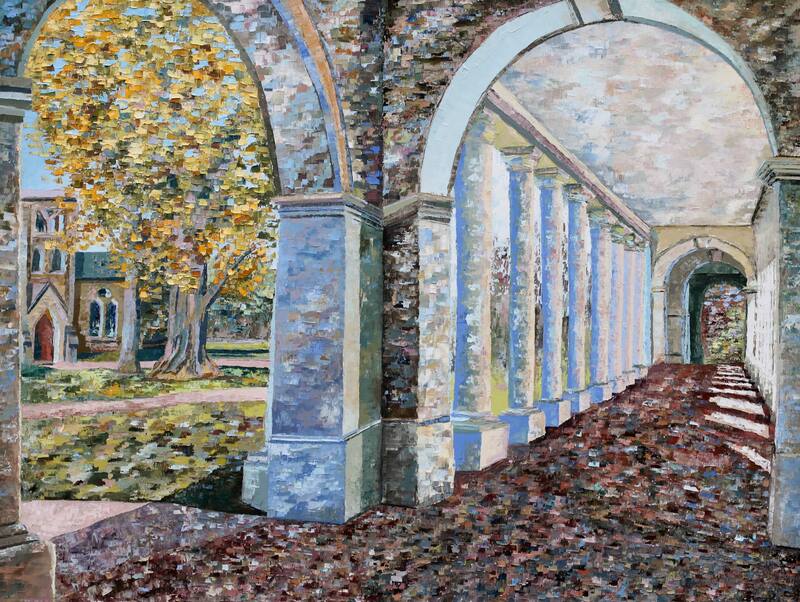 Using her signature “microabstraction” technique to convey spontaneity within order, Davis is creating a collection of paintings that capture some of the significant and enduring spaces she grew to appreciate while on Grounds. 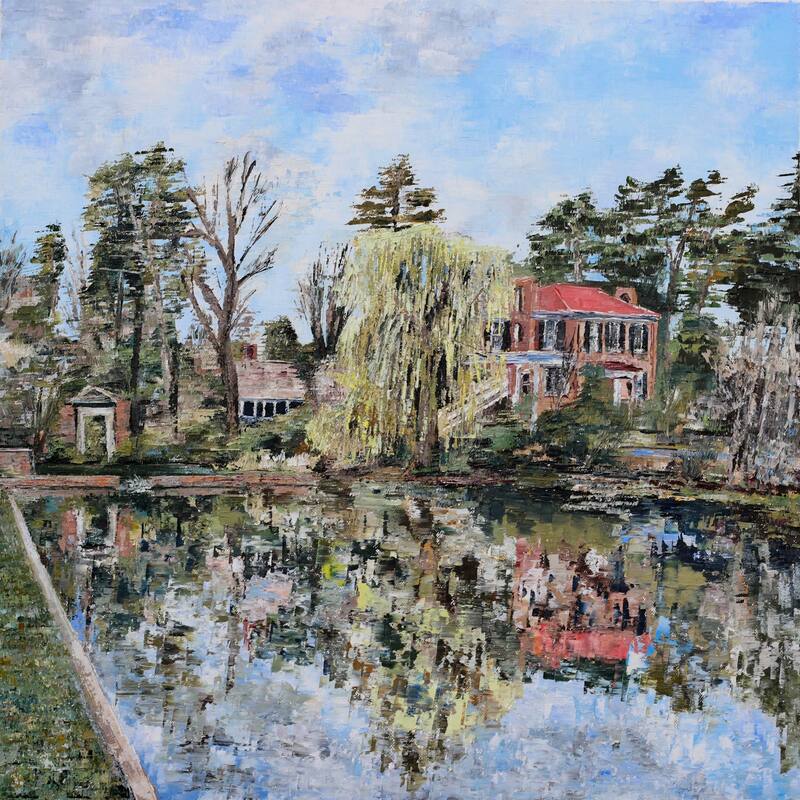 ”Willow on Dell Pond,” 2018. For Davis, the upcoming exhibition is an ode to the place where she developed her love for painting. 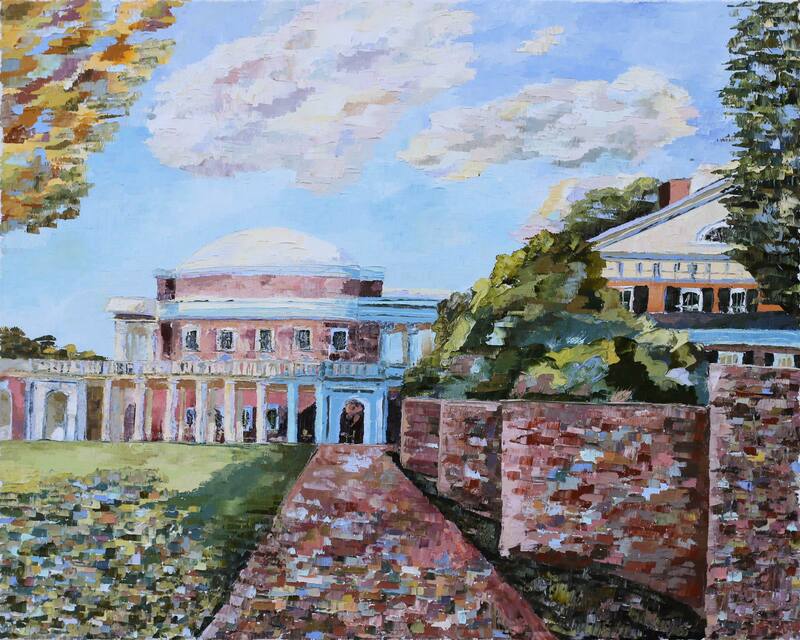 She believes her art history training at UVA was what “allowed her to take off” and begin pursuing art professionally. “The goal [of the exhibition] is to get different perspectives on these University spaces that I walked by every day going to class,” says Davis. As curator, Wilson strove to create an experience that would draw UVA students as well community members to WriterHouse’s downtown location. “The Charlottesville community is usually who goes to First Friday events,” Wilson said. Davis calls the Pratt Ginkgo in “Ginkgo IX” a “moody protagonist” she passed every day on her walk to class. Visit Davis’ website to view her full portfolio, and take in “University Reflections” during the First Fridays reception on Dec. 7 from 5 to 7 p.m. at WriterHouse, located at 508 Dale Ave., just behind the Bodo’s Bagels on Preston Avenue.